BUCKTHORN MUSIC PRESS (ASCAP) issues permissions & licenses. Scores, parts, and supplemental materials such as demo recordings may be purchased/rented. All titles are registered with and surveyed by The American Society of Composers, Authors, and Publishers (ASCAP). Below are the performances or recording sessions reported to the composer. There may be others. | Date TBD, 2010 (8:45 a.m.) | World premiere of new men's and women's motet versions arranged by the original composer, selected by composer-in-residence, Carson Cooman: Two Sacred Motets in the style of the 16th Century | I. Sancta immaculata virginitas (2-parts); II. Jesu nostra redemptio (3-parts). Track 91 from the double CD "60x60 2004-2005" (VN-001). Track 91 from the double CD "60x60 2004-2005" (VN-002). Track 54 from the double CD "60x60 2006-2007" (VN-002). Ends with selections from the double CD release (VN-002) "60x60 2006-2007"
==> including music by Lynn Job (electronic miniature) "Lake House Letter," track 54. (New York, NY) | "Afternoon New Music"
During the LIVE! Radio Request Extravaganza by Vox Novus 60x60. And . . . announcing more sales of the double CD release (VN-002) "60x60 2006-2007" including Lynn Job (electronic miniature) "Lake House Letter," track 54. 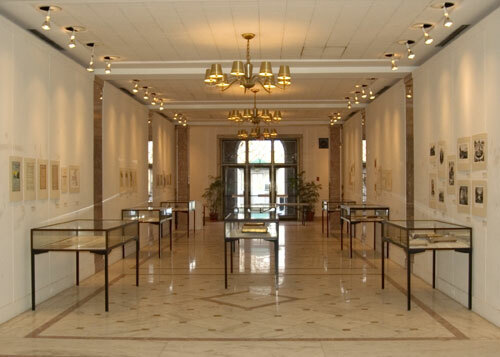 May 12-31, 2009 -- Hutchins Gallery Exhibit | Brookville, New York. "In partnership with Connection Works [501(c)3]." | May 12-31, 2009 (daily) | Exhibit -- Notations 21: Breaking the Boundaries - An exhibition featuring innovative music notation from around the globe in celebration of the 40th anniversary of John Cage's book "Notations" (1969). 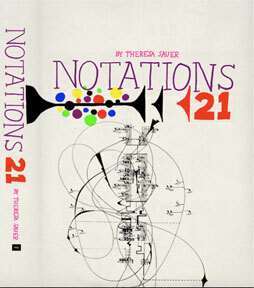 Exhibit includes the follow-up new publication: "Notations 21: an anthology of innovative musical notation" (168 contemporary international graphic composers). An international instant classic -- collectable volume. A "must-have" for graphics enthusiasts, scholars, students. First exhibited at the Chelsea Art Museum, NYC, October 2008 | Here |. -- ISBN-10:0979554640 & ISBN-13:978-0979554643 (New York, New York: Mark Batty Publisher, LLC, Theresa Sauer, ed., 2008). International booksellers may order from Thames & Hudson. "I just saw the wonderful [graphic] organ piece, "Anchored in Perath." I have been in this business for 30 years, and have never seen anything so lovely. . . I will ask . . . about adding an extra category in the Paul Revere Awards for such extraordinary work." Buckthorn Music Press licensed Anchored in Perath: an apocalypse (BMP-88) graphic score for solo organ (with poem) by composer Lynn Job for partial reprint. Less than 100 numbered & signed art prints exist. 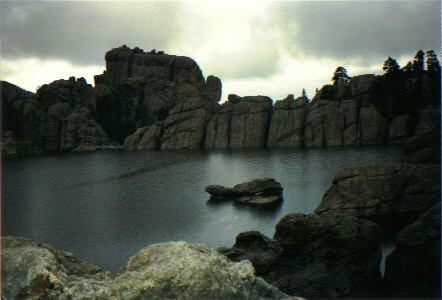 | Thursday, December 10, 2009 (8:00 p.m.) | 60x60 VIDEO - a Vox Novus film collaboration. | Includes : Malachi-Messenger (Music by Lynn Job) (No. 23) 60 1-minute pieces by 60 composers, Robert Voisey, Artistic Director, and Patrick Liddell, Director of Film. Presented this date by Alan Schockley | = 60 pieces = "2009 60x60 (International Mix)"
Venue = Luggage Store Gallery Click==> "New Music Series"
ABOUT = The LSG New Music Series is the longest standing experimental music series in the Bay Area, with weekly Thursday night [8:00 p.m. - 10:00 p.m.] shows since 1991 (www.outsound.org). 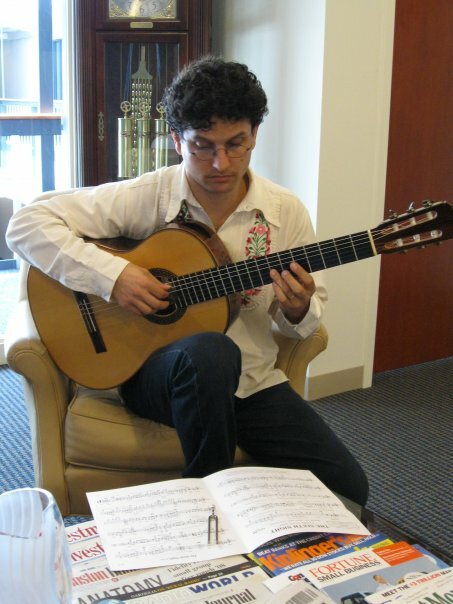 "This virtuoso's performances showcase the classical guitar's eclecticism and reflection. 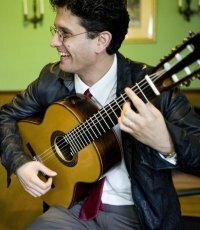 | Sunday, November 15, 2009 (4:00 p.m.) | Dance, Bach, Sleep: Dances & New Lullabies for Solo Guitar -- Aaron Larget-Caplan in recital. | Includes : The Sixth Night by Lynn Job (commissioned by The New Lullaby Project), with more new music by McDonald & Hahn and also works by Bach, Barrios, Brouwer & Albeniz. | Sunday, November 15, 2009 | 60x60 VIDEO - a brand new Vox Novus film collaboration. | Includes : Malachi-Messenger (Music by Lynn Job) (No. 23) 60 1-minute pieces by 60 composers, Robert Voisey, Artistic Director, and Patrick Liddell, Director of Film | = 60 pieces = "2009 60x60 (International Mix)"
| Friday, November 13, 2009 (4:30 p.m.) | 60x60 VIDEO - a brand new Vox Novus film collaboration. Presented as Concert IV - Electro-acoustic Juke Joint | Includes : Malachi-Messenger (Music by Lynn Job) (No. 23) 60 1-minute pieces by 60 composers, Robert Voisey, Artistic Director, and Patrick Liddell, Director of Film | = 60 pieces = "2009 60x60 (International Mix)"
This day only! 1-hour live show = 60 pieces = "2009 60x60 (International Mix)"
| Friday, November 13, 2009 (12:30 p.m. & 7:00 p.m.) | 60x60 DANCE - a brand new Vox Novus live dance collaboration. | Includes : Malachi-Messenger (Music by Lynn Job / Choreography by 60x60 Dance) (No. 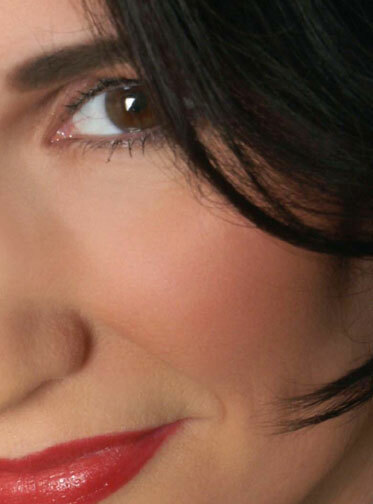 23) 60 1-minute pieces by 60 composers + 60 choreographers, Robert Voisey, Artistic Director, Amiti Perry, Director of Dance. | Sunday, November 8, 2009 (7:00 p.m.) | 60x60 DANCE - a brand new Vox Novus live dance collaboration. | Includes : Malachi-Messenger (Music by Lynn Job / Choreography by Rebekah Wessels 60x60 Dance) (No. 23) 60 1-minute pieces by 60 composers + 60 choreographers, Robert Voisey, Artistic Director, Amiti Perry, Director of Dance | This day only! 1-hour live show = 60 pieces = "2009 60x60 (International Mix)"
| Friday, November 6, 2009 (7:30 p.m.) | 60x60 DANCE (as festival CONCERT No. 5) - a brand new Vox Novus live dance collaboration. | Includes : Malachi-Messenger (Music by Lynn Job / Choreography by 60x60 Dance) (No. 23) 60 1-minute pieces by 60 composers + 60 choreographers, Robert Voisey, Artistic Director, Amiti Perry, Director of Dance | This day only! 1-hour live show = 60 pieces = "2009 60x60 (International Mix)"
| Sunday, October 4, 2009 (4:00 p.m.) | Dance, Sleep, Bach: Exotic Dances & New Lullabies for Solo Guitar -- Aaron Larget-Caplan in Recital. | Includes : The Sixth Night by Lynn Job (commissioned by The New Lullaby Project), and much more. Archived Show (9/24/09) | scroll down to show, listen in MP3, hear The Sixth Night performed live in the last segment. | Saturday, October 3, 2009 (2 shows -- 7:30 & 9 p.m.) | 60x60 DANCE - a brand new Vox Novus live dance collaboration. | Includes : Malachi-Messenger (Music by Lynn Job / Choreography by 60x60 Dance) (No. 23) 60 1-minute pieces by 60 composers + 60 choreographers, Robert Voisey, Artistic Director, Amiti Perry, Director of Dance | This day only! a 1-hour live show = 60 pieces = "2009 60x60 (International Mix)"
| Sunday, September 27, 2009 (3:00 p.m.) | Dance, Sleep, Bach: Exotic Dances & New Lullabies for Solo Guitar -- Aaron Larget-Caplan in Recital. | Includes : The Sixth Night by Lynn Job (commissioned by The New Lullaby Project), with more music by Mark Small, Kevin Siegfried, and much more. Dr. Job will be attending this event. | Friday, September 25, 2009 (8:45 a.m.) | New sacred works for a cappella choir and solo organ by Job, selected by composer-in-residence, Carson Cooman: (1) -- Kyrie eleison (SATB, 2009, world premiere) & (2)-- Iron Horse Nocturne: of salt & grapes . . . (organ solo). Dr. Job will be attending this service. 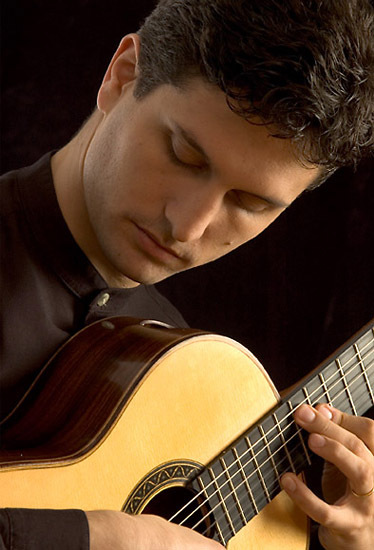 | Friday, September 25, 2009 (7:30 p.m.) | New Lullabies for Solo Classical Guitar -- Aaron Larget-Caplan in Recital. | Includes : The Sixth Night by Lynn Job (World Premiere, commissioned by The New Lullaby Project), also music by Composer-in-Residence Carson Cooman, and much more. Dr. Job will be attending this concert. | Tuesday, April 7, 2009 (8:00 p.m.) | 60x60 DANCE - a brand new Vox Novus live dance collaboration. | Includes : Lake House Letter (Music by Lynn Job / Choreography by Veronica Carnero) (No. 54) 60 1-minute pieces by 60 composers + 60 choreographers, Robert Voisey, Artistic Director, Jeramy Zimmerman, Director of Dance | This night only! 1-hour live show = 60 pieces from "60x60" 2006. 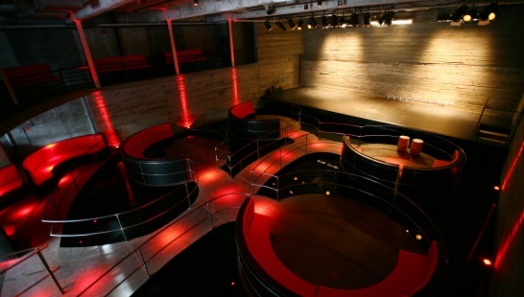 The Mission | NYC's first LEED certified "green" cultural venue, for profit! | here |. 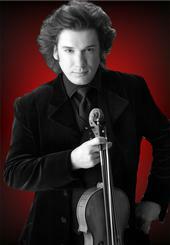 World premiere -- Arcangelo Red (Rhapsody for solo viola) - ". . . beyond the tent - gardens of immortal starlight. . ."
This music event will also include art-in-gallery, art-for-sale, and live improvised painting *during* the music -- a must see! -- by Jan Middleton Roset. Composer order: Norman, Rose, Job, Tower, Waddle, Bingham, Asia, Schickele. WKCR - FM 89.9 (New York, NY) | "Afternoon New Music" - June 25, 2008. WGDR - FM 91.1 (Goddard College, Vt.) | "In the House - with Kalvos and Damian" - July 19, 2008. WMUA - FM 91.1 (Amherst University, Mass.) | "Martian Gardens" - July 20, 2008. WMUA - FM 91.1 (Amherst University, Mass.) | "Martian Gardens" - December 7, 2008.
celebrating the "Notations 21 - an anthology of innovative musical notation" (Mark Batty Publisher, Theresa Sauer, editor, 2008). - Film exhibit of 168 graphic scores includes "Anchored in Perath: an apocalypse" (solo organ) by Job. - World Premiere! - (3-day installation) a 4-year retrospective of "60x60 Midwest Minutes" (tour mixes 2005-2008: Lily, Chariot (Q2), Meso-mirth, & Blue Sand), a Vox Novus licensed production | Lewis University. WKCR.org - FM 89.9 (New York, NY) | "Afternoon New Music" - Tuesday, June 26, 2007. Vox Novus, Rob Voisey, dir. - 2006 60x60 (Midwest Minutes) with video, Winifred Moore Auditorium (Webster Univ. Film Series). Vox Novus, Rob Voisey, dir. 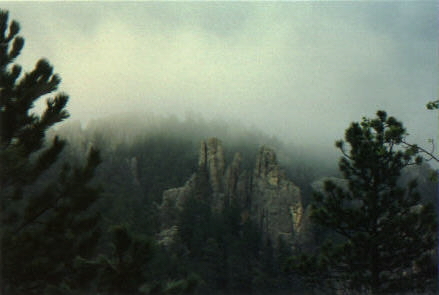 - 2006 60x60 (Midwest Minutes), Kemper Museum of Contemporary Art. Vox Novus, Rob Voisey, dir. - 2006 60x60 (Midwest Minutes). "Free Play Six: Listening Chamber", Art Gallery, Grand Valley State University. Vox Novus, Rob Voisey, dir. - 2006 60x60 (International). Merrill Ellis Intermedia Theater, UNT Center for Experimental Music and Intermedia, hosted by the UNT Composers Forum. Vox Novus, Rob Voisey, dir. - 2006 60x60 (Midwest Minutes), Westbrook Auditorium, Illinois Wesleyan University. Vox Novus, Rob Voisey, dir. - 2005 60x60 (Midwest Minutes), John Jacobs Niles Center for American Music, University of Kentucky. Vox Novus, Rob Voisey, dir. - 2006 60x60 (International). Fairchild Chapel, Oberlin Conservatory of Music. Russell Kitchen, solo viola, Senior Recital. UNT Concert Hall. Two Sacred Motets in the Style of the 16th-Century (2 and 3-part mixed a cappella choir) | Elizabethton, Tennessee. Elizabethton Choral Club (Debbie Gouge, dir.) - Spring Concert, First Baptist Church of Elizabethton. Vox Novus, Rob Voisey, dir. - 2006 60x60 (International). Theatersaal, University of Bremen. Vox Novus, Rob Voisey, dir. - 2006 60x60 (International). San Francisco Community Music Center. Vox Novus, Rob Voisey, dir. - 2006 60x60 (International). Amadeus Centre (Little Venice). Vox Novus, Rob Voisey, dir. - 2006 60x60 (Munich Mix). K�nigsplatz M�nchen, and Hochschule f�r Musik und Theater - A*DEvantgarde Festival - June 12-28. Vox Novus, Rob Voisey, dir. - 2006 60x60 (International). The Ruth S. Harley "University Center" Ballroom, Adelphi University Long Island. Vox Novus, Rob Voisey, dir. - 2006 60x60 (International). "Stress!!" at De Burgo's (St. Augustine Street). Vox Novus, Rob Voisey, dir. - 2006 60x60 (International). 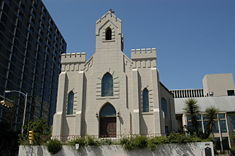 Jan Hus Presbyterian Church, Yorkville Neighborhood. Vox Novus, Rob Voisey, dir. - 2006 60x60 (International). "Live Wires" curated by Zavada & Sazdov, Music Workshop Hall, The University of Sydney. Vox Novus, Rob Voisey, dir. - 2007 60x60 (Midwest Minutes), John Jacobs Niles Center for American Music, University of Kentucky. World premiere. Vox Novus, Rob Voisey, dir. - 2007 60x60 (Midwest Minutes), Electronic Music Midwest (EMM) Festival. Vox Novus, Rob Voisey, dir. - 2007 60x60 (Midwest Minutes), "Arts and Ideas Program" - the "Music BYTES Series," Lewis University. Vox Novus, Rob Voisey, dir. - 2007 60x60 (Midwest Minutes), Westbrook Auditorium, Illinois Wesleyan University. 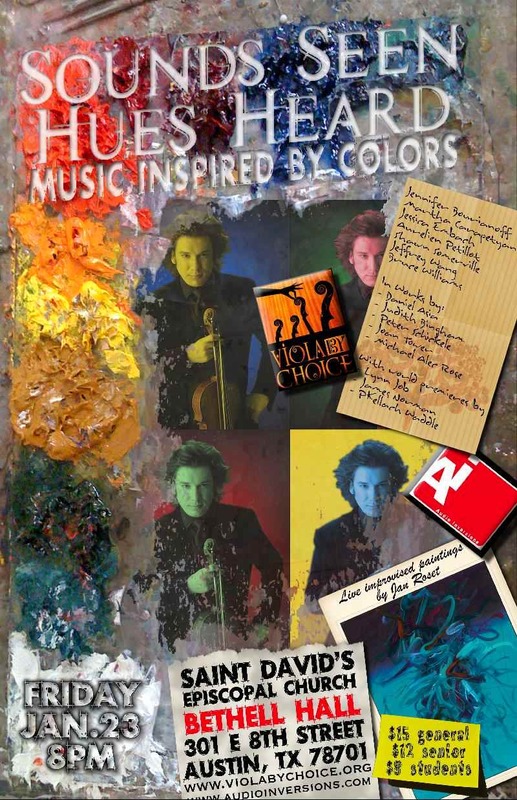 WKCR.org - FM 89.9 (New York, NY) | "Afternoon New Music" - June 13, 2006.
violinist St�phane Tran Ngoc, "all-star" benefit at Lawrence Memorial Chapel: Concert for Humanity. Original version - world premiere. bassoonist Lori Wooden, College Music Society Annual South Central Chapter Composers Concert. Composer's transcription - world premiere. solo pianist Felipe J. Ramirez, 2-city NACUSA-sponsored Tour. Opening at the Modern Art Museum of Fort Worth. solo pianist Felipe J. Ramirez, 2-city NACUSA-sponsored Tour. Closing at the Eisemann Center. solo organist & commissioner Carson Cooman, Concert for Works for Trumpet and Organ. World Premiere. (Rhapsody for solo violin) performed by St�phane Tran Ngoc | European premiere, International Summer Music Festival of Provence. Anchored in Perath: an apocalypse (graphic score) | Mission Church, Boston, Mass. solo organist & commissioner Carson Cooman, A Joint Organ Recital with Richard Bunbury. (Amaro for solo organ) | organist & commissioner Carson Cooman in recital at Houghton College. 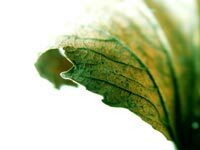 (an apostrophe/interlude for solo piano) | Commissioned and performed by Carson Cooman | Special Concert for the Trinity Theological Seminary 2005 Ministerial Conclave, World Premiere - closed event. | November 10, 2005 (7:30 pm). (electronic work - one of several miniatures in "Bells for Nicolas"), part of the "Memorial Concert for Nicolas Useche." KWBU.org - FM 103.3 , an NPR-affiliate (Waco, Texas) | "Music at Baylor" with host Richard Veit | Job's "Armiger's Gate" (violist Kathryn Steely) - October 4 (2:00 p.m. CST) & October 6 (7:00 p.m. CST). Prelude in E minor | Edmond, Oklahoma. Prelude in E minor | Austin, Texas. Systole: Book I (3 songs) | Waco, Texas. What Am I? | Indianapolis, Indiana. Thy Word Is Truth (tenor air with bassoon, harp & cello) from the modern oratorio Elatio: Praises & Prophecies (text from the Dead Sea Scrolls). World premiere, Jonathan Gibbons, Tenor, composer conducting; plus Prelude in E minor (Buffi-Colleen Jacobs, cello) North Texas premiere. | Denton, Texas. | March 9, 2002 (4:00 pm). "Of Salt and Grapes" (AKA "Iron Horse Nocturne") | Webster, New York. | September 8, 2002 (6:30 pm). "Of Salt and Grapes" (AKA "Iron Horse Nocturne") | Penfield, New York. Serengeti Supper | Aub, Germany. Serengeti Supper | Bayreuth, Germany. Toumai: Hope of Life (7 trumpets) & Armiger's Gate | Denton, Texas. Serengeti Supper | San Marcos, Texas. Shadow's Pipe | Denton, Texas. Serengeti Supper | Denton, Texas. Eulogy for St. John | Edmond, Oklahoma. 2-Part Invention in F-minor | Rochester, New York. Chalice Hill: Ascent & Elegy | Dallas, Texas. September Jade: a wedding divertimento | Sioux Falls, South Dakota. | Several selections from - ELATIO: Praises and Prophecies - are before various performers and conductors. 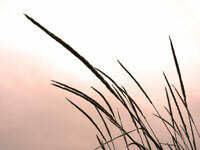 New Classical Music production underwriting search ==> on-going. © Copyright 2009 Buckthorn Studios (SM). All rights reserved.